Note: 'sys.version_info < 3' is used to check the current running python version. 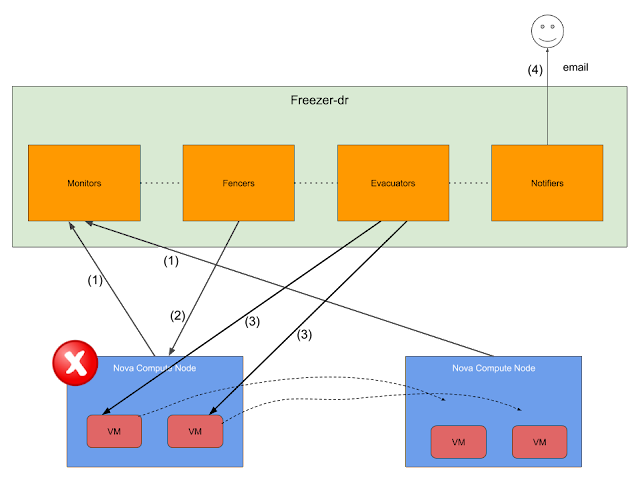 Freezer-DR is designed using an extensible architecture which allows us to plug any software solution/library into the above boxes by implementing the drivers. For example, I can use Monasca as the monitor, IPMI or libvirt as fencers, open stack nova client as evacuator, python SMTP lib as the notifier, as long as I have the drivers for those software or libraries. Right now, there is only a limited number of supported drivers for monitors, fencers, evacuators, and notifiers but you can always easily write your own drivers to use the desired libraries or software. Nginx error says "upstream sent too big header while reading response header from upstream"
My PHP web server with Nginx as reverse proxy says "upstream sent too big header while reading response header from upstream"